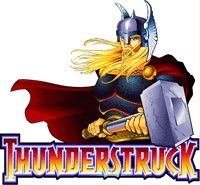 This slot is by IGT and is a favorite in many UK casinos. It can also be found in land-based casinos throughout Europe. 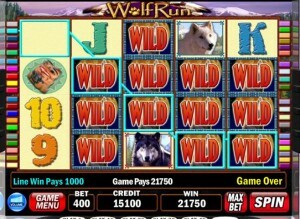 The online version was ported by Wagerworks, and has most of the same features as the original, with 40 paylines and many exciting winning opportunities, such as free spins and stacked wilds. 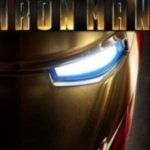 There is only a standard version of the slot, and no deluxe or other versions are available. Click here to play Wolf Run now, or keep reading to find out more. Wolf Run is all about the wild, with the wild howling sounds staying true to the main theme of the game. 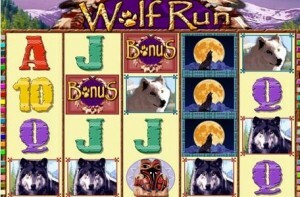 The icons include a white wolf, a dark wolf, two Indian totems and the usual range from 9 to A. Wolf Run, like most IGT titles, doesn’t bother with flashy graphics or polished interfaces. Here, the gameplay and the slot itself take precedence. The wild symbol here is represented by a dark wolf howling at the moon, and substitutes everything but the scatter. 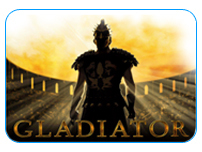 The bonus symbol (scatter) allows you to get free spins and activates the bonus round. This is not much different than other IGT slots, and the rounds are quite fun to play. Winning combos are the usual 3-5 match-ups, and there are no hold or nudge options on this particular slot. This slot includes a total of 40 lines, which makes the chances of getting paid slightly greater. The player can adjust stake per line, and can decide how many lines are played for each round. Minimum bet-per-line is £0.01, with the maximum being £5. The buttons at the bottom of the interface allow players to choose all stakes, while the top has your current credit and payout. Main bonuses are the free-spin round. Three “Bonus” symbols on the middle reels trigger the free spin bonus. The bonus starts off with 5 free spins, though you can always gain more, up to the staggering number of 255 free spins! In fact, the Bonus symbols and stacked wilds (multiple wild symbols) are more common on the free spins reels than in the original game. This slot also has a gamble feature, where the player double by guessing the red or black card. The RTP for this slot is about 95%, with a maximum payout of about 1000x the betting value, but is cupped at £250,000. The slot doesn’t feature a progressive jackpot, so your winnings always depend on how much you are willing to bet . With 40 paylines there is quite a chance of matching up symbols, and there is also a good chance of getting free spins. All in all, a recommended slot for anyone who enjoys IGT classics.